5 Stars! 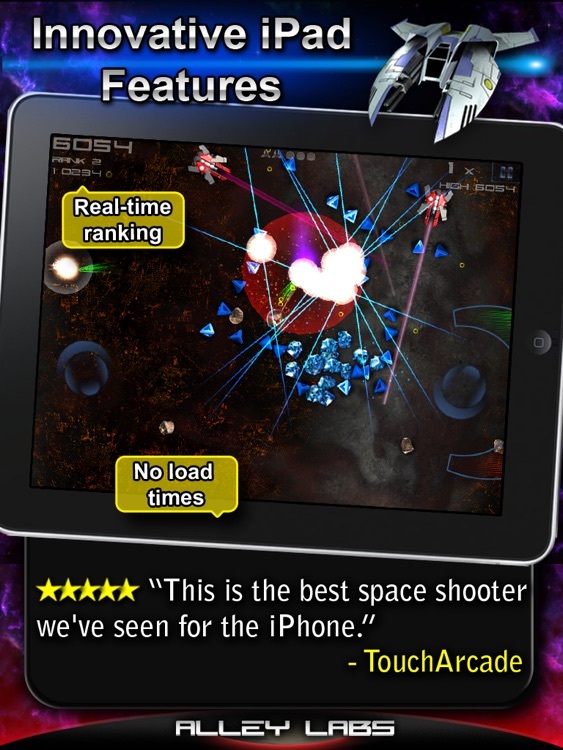 "Meteor Blitz is one of the highest quality space shooters we've seen for the iPhone...this one comes highly recommended"
5 / 5! "It has the perfect balance of control scheme, graphics and rich gameplay that make this game worth every penny asked." Must Have! "Meteor Blitz is the complete package in every way. If you want a game with gorgeous visuals, skill-based shooting, perfect controls, online connectivity, and replay value, look no further." Must Have! 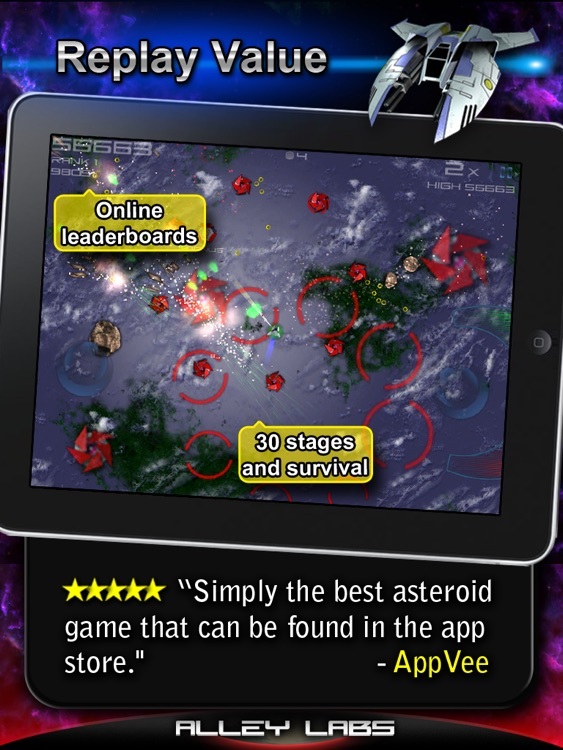 "Meteor Blitz is the most extensive survival shooter that I have ever played on the iPhone...I cannot emphasize enough how good of a game this is." 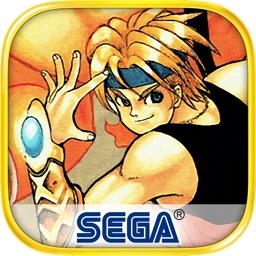 App of the Week! 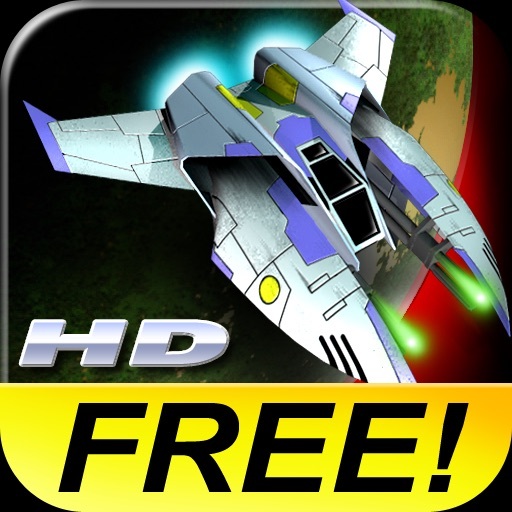 - "Meteor Blitz is the best top-down space shooter for the iPhone...Meteor Blitz stands at the head of the class as the best by far of its genre." "5 stars (one of the top shooters and recommended for anyone who's even remotely interested; definitely a worthy addition and has enough differences to set it apart from others)"
"Our top pick of the week by far...It’s one of the best games we’ve played on the platform in a while. 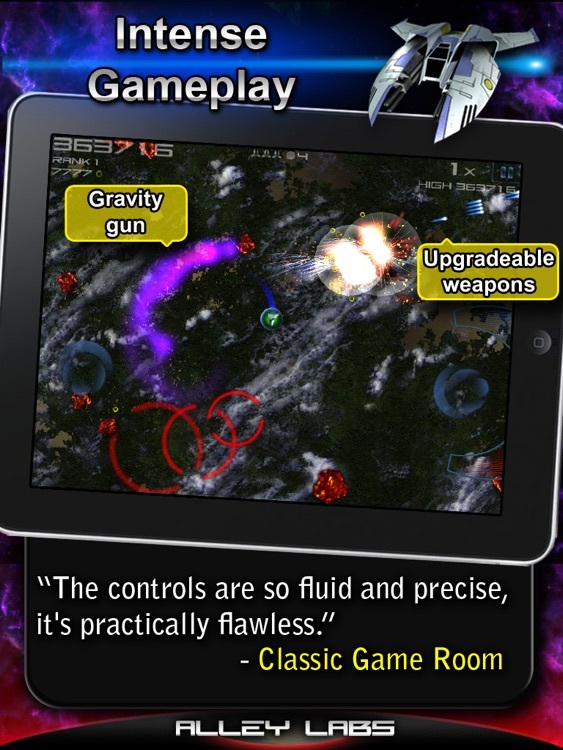 iLounge Rating: A-"
"Full stop, Meteor Blitz is the best shooter on the iPhone to date." "Meteor Blitz- This has it all. 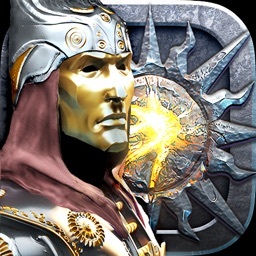 Very fun and I am already addicted from the start. Give it a try!" 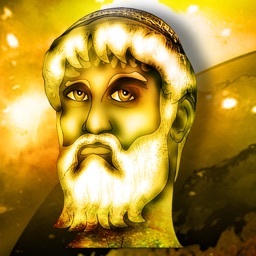 "sooo addicted to the iphone game: Meteor Blitz - it's just wonderful!" Having trouble? Questions? Email us at [email protected] and we'll respond ASAP! 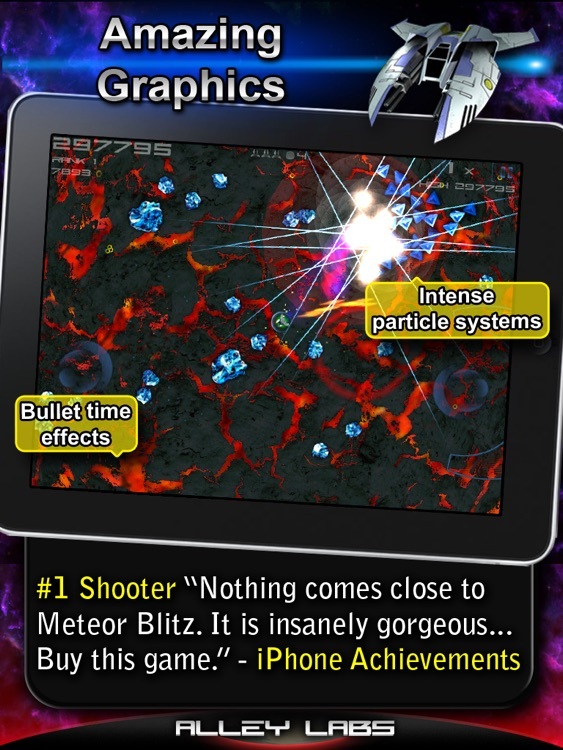 Meteor Blitz has hurtled into the App Store to claim its place atop the mountain of dual-thumb shooters. 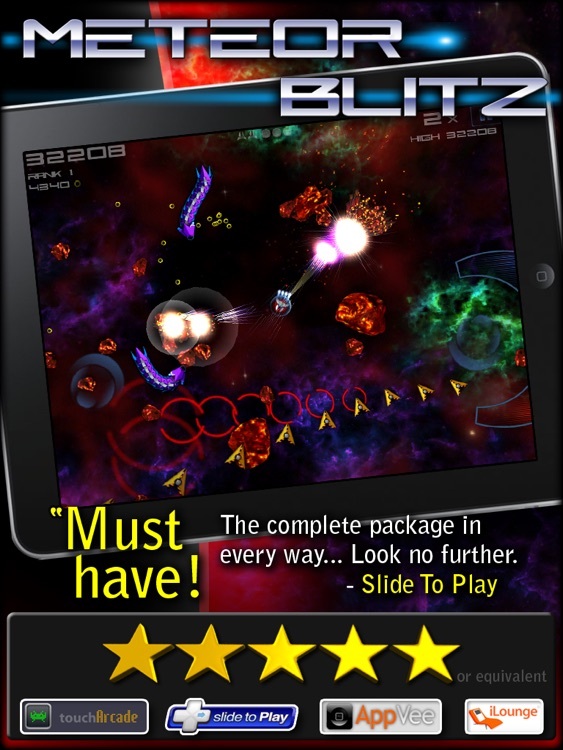 With responsive controls that are unparalleled in the App Store, Meteor Blitz may well rival its progenitors. 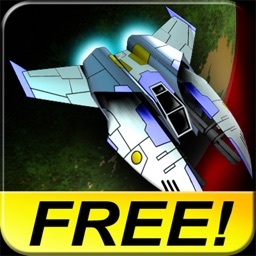 Pilot your ship through worlds that will demand the utmost in reaction time and weapon use. 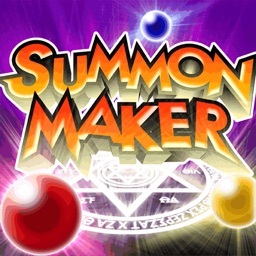 With a plasma gun, flamethrower, and ice cannon at your disposal, plus the unique and indispensable gravity gun, gather rings and purchase upgrades to become a formidable threat to any wandering enemy in your range. Compete in Arcade or Survival mode for the high score on our global leaderboard that updates in-game, in realtime. Meteor Blitz is the new, first name in top-down, dual-thumb shooters!